Hey lovely friend, read Part 1 of this post first, or the following will make zero sense! Let’s begin with the slowing down of the health and acne journey, as that started first. The first thing that slowed down was my experimentation with natural skin care ingredients, because I decided to try the caveman regimen back in early 2012. The caveman regimen is where you don’t wash your face, aside from perhaps splashing with some water here and there, and you don’t use anything at all on your skin. It worked well for me and I simply loved the freedom of not having to do a skin care routine… so I’m still doing it to this day. Then, back in let’s say late 2013, a couple of things happened. The first one was that I finally got over acne. By that, I mean… I finally got it to stop emotionally triggering me the way it did before. After I got rid of my severe acne, I still frequently got some mild acne on my chin. It wasn’t a huge deal but after the trauma of the severe acne, every time it appeared it triggered this huge panic and anxiety. But now, if I do get a few pimples, I don’t really care so much. I don’t love it, but I just get on with life. If my acne started getting really bad again, I don’t know if I would be such a cool banana about it, but as it is, I’m mostly pretty chill about it. Well for one, although the health and skin care experimentation was in many ways a fun hobby, the constant research of new things to try was also making me crazy, and didn’t seem to really be improving my skin all that much more. See, you may have noticed that when it comes to figuring out the “right” diet, or the “right” way to take care of your health… well, the amount of contradiction can make you very fearful and insane, and… well, that’s stressful. I realized that being too obsessed with food and health is actually not that healthy in itself, and that I might be better off to just stop. So I stopped the constant research. The constant food experimentation. I allowed myself to relax my diet a bit. I began to just eat healthy whole foods, but not necessarily a particular “diet” with too many rules. I allowed myself plenty of treats, ordered whatever I wanted at restaurants, and ate whatever others served me. And I was right. This was emotionally good for me, and it helped me heal. Another thing I did was that I got four sessions of reiki, which is an energy healing technique. While I can’t promise you this was definitely the ticket to emotional freedom, the fear about acne was significantly different after that. It was just….. so….. gone. Coincidence? I don’t know. Can’t really say for sure, but I feel whatever happened was a definite good thing. And then, soon after all this, I discovered something magical. 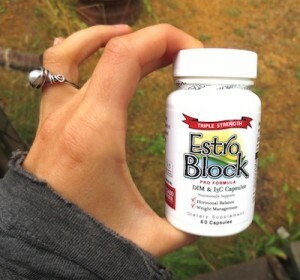 The supplement Estroblock (aka DIM or diindolylmethane), and its liver supporting friend Thorne SAT (containing milk thistle and a few other herbs). 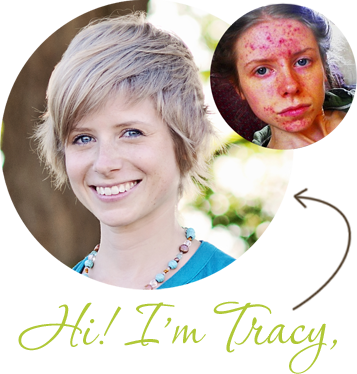 As much as I don’t really think there is a magic bullet when it comes to treating acne holistically, these supplements are as close as I have ever come to one. For me, at least, it seemed to be the icing on the proverbial cake. My lifestyle was great and skin pretty good, but it was just that last boost that I needed to keep it consistently clear. To sum it up I’ve just kind of found my groove when it comes to my health, skin, and emotions. What works for you may not be the exact same as me, but for the most part, I’ve figured out what works for me. And now instead of the constant experimentation, I’m just getting on with life. I’ve gotten to the place where I want you to be. I don’t want acne to be your hobby. I don’t want health to be your hobby. Yes, initially figuring these things out can be a journey full of experimentation, but that experimentation shouldn’t necessarily last forever. The thing I want most for you is to get beyond acne physically and emotionally and stop thinking about it, find your health groove, and live your life doing what you love. And that’s what I’ve done for myself. So woohoo. Go me. For me though, this “groove finding” has lead to me to a unique challenge, one that most of you probably won’t ever face. That’s that I simply don’t have as much to talk about on the The Love Vitamin blog anymore. Without as much experimentation, and without many personal or emotional challenges to overcome in the last couple of years, there is far less inspiration for connection. But I realize that a big part of why The Love Vitamin is so loved – by both you and me – is because of the way that I have so intimately shared my own personal journey. For the past five years, you have shared in every struggle; every lesson I ever learned. And with the practical stuff… for example, if I hear about an awesome new natural treatment that others are having great results with … well I want to tell you about that, but it doesn’t feel nearly as interesting or relevant when I haven’t actually tried it myself, you know? But all the things I have tried myself and have worked for me, well… I’ve already blogged extensively about them. It’s just that I hate writing a blog post that doesn’t feel inspired or passionate! I want a story behind what I say! Personal stories are what give life to internet articles, and are what give life to my excitement. So this has left me in a bit of a pickle. 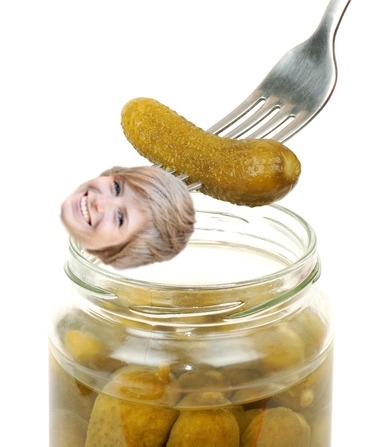 The pickle being that I just don’t really know what it means, and that makes me feel unsettled and insecure. Because, well… I don’t want The Love Vitamin to die! It’s my baby! And my livelihood! And my… my, everything! Why not keep it going so that it can stay high in the search engines and keep helping people new people who happen upon it? Is it not still of value? It’s not like there isn’t piles and piles of stories and information and inspiration already here (over 450 blog posts and videos), even if I’m not going through anything particularly interesting at the moment myself. And it’s not like there aren’t a ton of other people out there that have amazing stories that I can share with you through the blog. But I realize that for the most part, I am the blog, and the blog is me. I know I couldn’t just remove my presence and expect it to have the same charm. Thing is, I have been so scared to say this. I didn’t want to say it out loud. Well, for one, because I didn’t want you to think it meant I didn’t care about you. I also felt like saying it was too much of a commitment. What if I said it, and then every blog post would be scrutinized by you as to whether it felt like my heart was in it or not. But the thing is… NOT saying it hasn’t done me any favours. It’s lead to me emotionally pulling away from The Love Vitamin even more. As I said, me and you, we’re in a relationship here. And relationships don’t thrive when there isn’t honesty. Without honesty, the intimacy flies away. So that’s why I finally worked up the lady balls to just say it. So we can renew the woo here, and perhaps the inspiration and intimacy will come rushing back. I already feel better and closer to you spilling my guts like this! Because it feels inspired, you see. It’s personal. So maybe The L Vitamin ain’t dead and this is a dawning of a renewed love. But I’ll save that for next week. NO!!! Tracy, don’t declare the horse dead!!! I’ve been a huge fan for a long time and I still haven’t read all your blog posts. 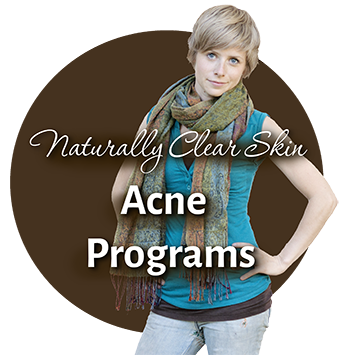 There are a ton of acne treatment info on the web and bloggers and what not, but yours is the only good, effective, authentic blog without dodgy or inaccurate info. I will keep sending a link to anyone who’s having skin struggles. Hi Anna! I don’t really think it’s dead. I think it might have been dead if I didn’t get this off my chest! But now that I am being 100% honest (and I’ve got more honesty posts to come), I feel so much better and much more inspired… not just for blogging about me, but also for experimenting again with skin stuff. We will see what transpires. Anyway, thanks so much for being a fan and saying such nice things about my blog!! 🙂 appreciate it! 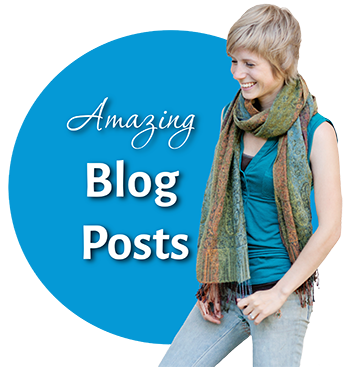 I have followed your blog for a while now and I was thrilled to see you blog again. I knew you must be in a transition period with your life and business. I am thrilled to hear from you again! Please continue and give from your heart. Acne has never been an issue for me; however I followed your blog and instagram. I purchase your ebook on business and was very inspired from your story of wanting to start your own business and create freedom to travel. Please consider that focus for future blogs. Your audience has falling in love with your ability to share and teach from your own experiences. Continue Tracy…. this is your purpose. You have been a blessing to many for so much more than you have realized! Great to have you back! Hi De, thanks so much for your kind comment 🙂 I definitely feel renewed now to continue sharing from the heart, and we’ll see where that takes us! Hi TT, it’s not that I don’t recommend it, it’s just that I’ve never tried it. I used to use one called Liv-tox by RX balance and then they stopped making it for some reason… so I then had to find a replacement one to use and recommend, and Thorne SAT was the closest one I could find. Thorne and the Delgado one do have some similar herbs, although milk thistle is the main one in Thorne for liver support, and it’s not the first ingredient in the Delgado, so I’m not sure if that will make a difference. I’m sure it’s still a good supplement though and worth a try if it’s that much more convenient for you to order! I suffered horribly with acne when I was younger, back before you were blogging. Not the worst acne ever, but, oh, the suffering. So when I just happened upon your blog one time, even though the acne was long gone, I knew just where you were coming from. And then somehow I just kept on reading your blog despite no longer needing to just because…well, just because of you really, Tracy. And in truth I’d read whatever you got into, travelling, cooking, things spiritual, whatever, just because you’re fun and interesting to read. The real point is, though, what is your present passion? What is firing you up with the same “this is absolutely central to my life, my being, my soul” energy and urgency as did the acne? Whatever it is, write about that, and the followers will come. And if there isn’t anything inspiring you with this kind of passion, why not? Surely when you get through the intensity of the gotta-find-a-way-outta-acne years life has got to have something else just as all-absorbing to offer the soul, otherwise it’s pretty sad news. So, life after acne. Was there a readymade passion waiting for you come the other side that now fires up your life nowadays, or are you presently still struggling to find it? I’d love to read what you’ve got to say about what Tracy did next either way. Great to hear you’re still looking out for new mountains to climb. Just want to say I am truly overjoyed for you that you have so fully come out through the other side of your personal acne battle that in many ways things acne are simply not that big a deal in your life anymore. When all your horizon was the horror/shame of acne could you ever have believed there would have dawned such a day? And even more amazing are all the body-heart-mind-&-soul-expanding gifts this whole journey has brought you along the way to finding your groove. And then there’s all the hope and help you have been able to give to others in return. In fact, I don’t think it’s too much to say you must have helped some of your followers literally get their lives back. I know when I was suffering from my own relatively mild acne the seemingly never-ending chain eruption of a few choice mega volcanos around my chin dominated, terrorised and, yes, ruined whole long years of my life. So all gratitude to you for mining pure gold out of your own battle and giving back bigtime. I have been following/commenting on your blog for a little while now, and I just want to emphasize how very helpful it has been for me! My skin is already showing significant improvements :). This is a tough issue though, because I get where you’re coming from. It’s hard to be inspired to write when there is nothing inspiring you (since your acne is pretty much gone). The only advice I can give is to perhaps continue to evolve your blog along with your journey – even if you aren’t struggling as much with your skin, I am sure readers (including me!) would love to learn about what you eat on a day to day basis, how you keep your home/lifestyle healthy, etc…I know I would! Regardless of whether you decide to keep posting or not, definitely keep TLV on the internet! There are SO many people out there that could continue to benefit from this wonderful site! Hey Charlotte, that’s so great to hear you’re already seeing improvements!! 🙂 So happy to be a part of your healing! One thing for sure is that The Love Vitamin will never get kicked off the internet. It will always stay for those who can benefit. The thing is though, in the land of websites and search engines, from what I understand, if your website doesn’t get updated, it will eventually fall way down in the search engines. I don’t know how much you need to update to prevent this, or how long it takes if you stop posting completely….. but either way, it’s kind of a shame (if I ever decided to stop posting completely, which I am not yet)… the resource would remain, yet the people who need it won’t be able to find it! Unfortunately, I think you’re probably right. Bloggers nowadays spend tons of time publicizing themselves, and trying to make their blog known to the outside world – so yes, if you stopped posting it would definitely not surface quite as easily to all of those people looking for ways to cure their acne naturally. On the bright side, however, your youtube videos will always be there, and those should continue to get views regardless of how old they are. But hey, no matter what you decide to do, just remember that you have a bunch of understanding followers! Hi Tracy, I’ve never left a comment before, but wanted to let you know that I still love your blog. You’ve taught me so many useful things, but I think the most important lesson is to stop caring/obsessing so much about my skin and appearance. I feel like we’ve been traveling on a similar path–diet changes, natural skincare, supplements, and eventually a more relaxed attitude overall. I don’t even wash my face anymore, and sometimes I let myself eat some sugar, and everything is fine! I actually like how the blog has been more focused on the “love” than on the “vitamin” aspect of acne lately. Whatever the future holds, you have been super helpful to me and I’m sure so many others. Thanks! Loving the parallels here….. I’ve taken up indoor climbing now that my skin has calmed. I’m not 100% healed yet BUT I know the underlying sticking points are emotional.The process of climbing literally brings all the habitual negative thought patterns to the surface… to be sorted in order to get up the wall! You don’t do things by halves Tracy…. setting up you’re own climbing center?!! Thanks for for helping me through the acne he’ll zone. I know whatever you put your passion into next will be rewarding for you… and probably plenty of others too! 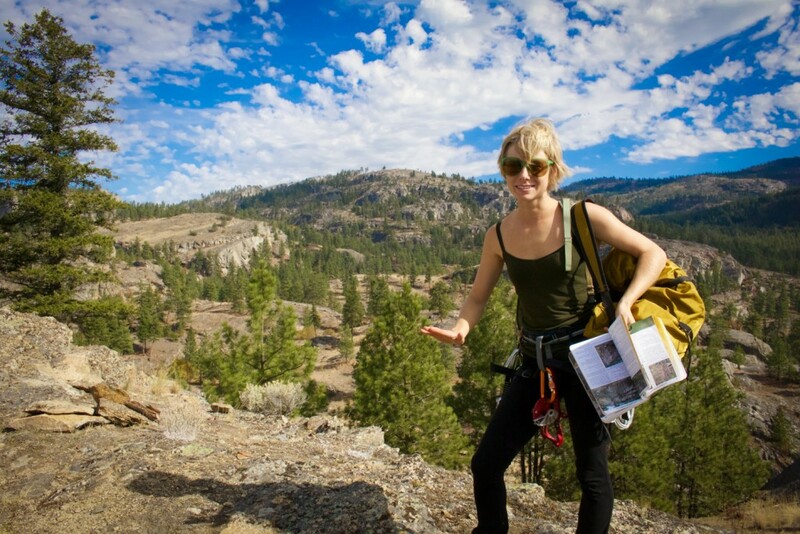 Hey Aymie, glad you’ve also discovered the awesomeness of climbing. I just love it!